Customers will soon be able to use their Aadhaar card for instant identity verification to get a new mobile connection. The government is finalising norms which will enable retailers selling SIM cards to take the Aadhaar credentials of the customer and match it online with that of the UID card data at the time of applying for the connection, according to a PTI report. As of now, Aadhaar card is used as a valid document for identification but customers need to submit other supporting documents such as passport or driving licence to complete the process. The proposed move will cut paper work. Some telecom operators including Bharti Airtel, Vodafone and Reliance Communications have already agreed on issuing new connections using just the Aadhaar card. According to the PTI report, a pilot project for the same has already been launched in Andhra Pradesh where around two-thirds of the 86 million population has been enrolled by UIDAI, the authority involved in issuing the Aadhaar card. The Department of Telecom (DoT) will refer the matter to the home ministry. After receiving its approval, a notification in this regard will be issued by December this year, the report quoted a DoT official as saying. 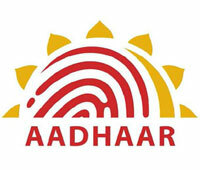 Going forward, the Aadhaar card will be the identity proof for many of the government's services. On September 4, in his inaugural speech, new RBI governor Raghuram Rajan said that on the retail side, he particularly wants to emphasise the use of the unique ID, Aadhaar, in building individual credit histories. He said the central bank intends to conduct a pilot enabling cash payments using pre-paid instruments or electronic wallets and Aadhaar-based identification, given the vast potential of such instruments in meeting payments and remittance needs in remote areas.